I'm not suggesting that. Low health killstealing is as valid as full health ammoracks, in the current setup. Sniping TDs lose XP because someone is spotting targets already, no need to change that. But having a sliding scale of XP for the damage needed to finish off a tank would be useful. The great unwashed won't notice, as they rarely kill low health tanks anyway. Pro killstealers might get a bit grumpy, though. With T30 i never got the M and this with 6k dmg, Kolobanov, 6kills and more in just one batte. I couldn't do more but on some tanks you don't get it, others make one battle and just the half performance and mastery! It's the same when you get the mission first or ace ...than you just get 2nd with great perfomance and after skipping the mission ohh 1st mastery again ...it's the same sh.. with 3wins in row or whatever! Oh, look, people, it's canny's acolyte. He is actually more crazy than Canny. 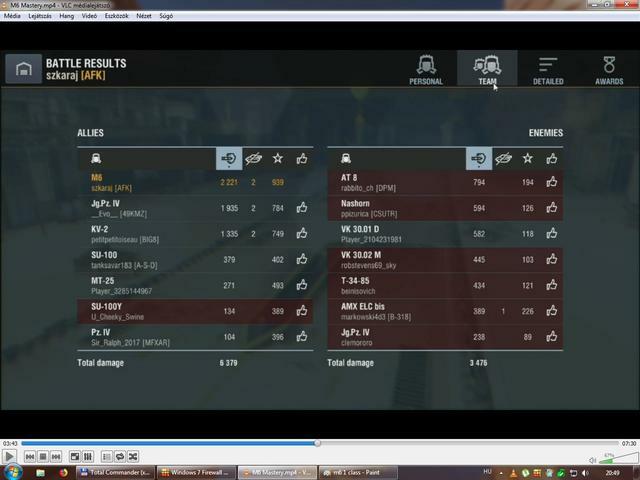 He thinks WG is even rigging replays. He's a good player an I've seen him play good which I can't say about you yet. 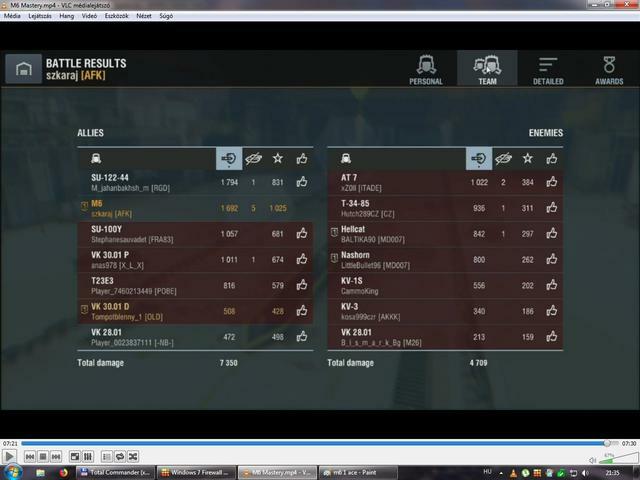 So either you have some hacks or you know somebody at Wargaming to place your account in the wining queue. I know mastery changes weak by weak, as how well played are tanks. So, after mastering my M6 made me thinking. Chasing it I got many times 1 class for a lot of damage (above 2,2 k), but no ace. I thought bar is too high, about 3 k dmg. 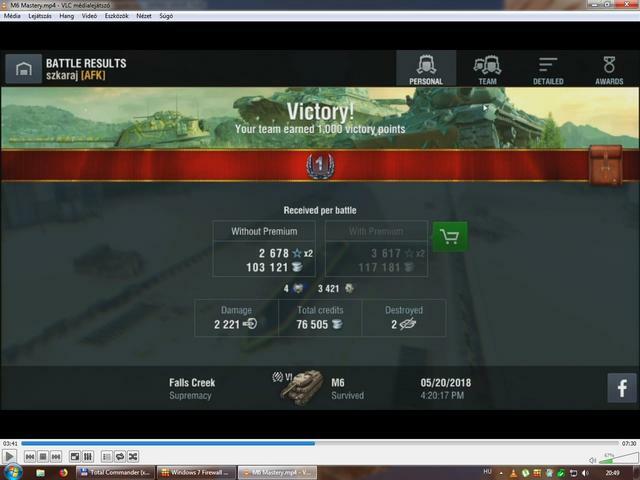 Then sudenly it dropped into my lap, doing only 1,6 k dmg and capping 1 base. But this last time I was master of kill stealing and farmed 5 kills. So this made me thinking. I dont feel it fair if I do some damage, but getting other's kills by stealing it, but it rewards ace. I think therefore ace system should be changed and damage made should count more, then now. Xp based and rightly so. Damaged done to a lower tier doesn’t count as much as damage done to a higher tier. damage done while sniping doesn’t count as much as damage done from ramming. even staying alive until the end rather than dying, suspect gives you something. The top 50%, 3rd class badge, are people's best games in the past 7 days. This means unless every single game you play is better than the bottom 50%'s best games, of the people who play that tank in the past 7 days, you wont get a 3rd class. Same applies to 2nd, 1st and Golden masteries. The mastery system is one of the fairest systems in the game. Simple: Be one of the best %1 of the players who played this tank in this week. And yes, it's so easy to get Mastery Badge with some tanks (Sturer Emil, Chi-To etc.) and it's near impossible to get with some (Type 62, IS-5 etc.). It's so normal because of the differancy of competition about this tanks. 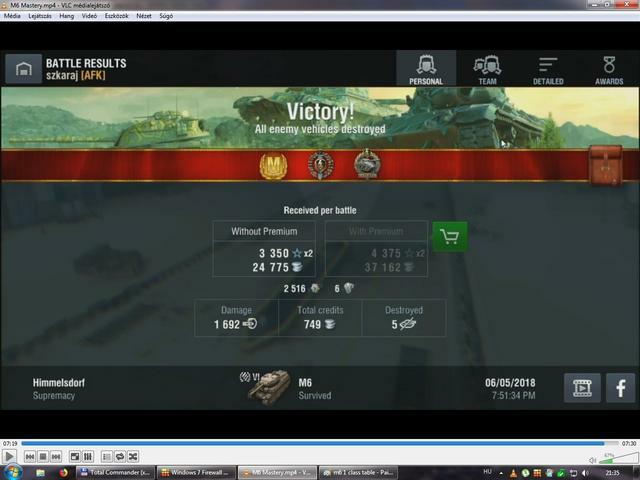 And yes, it's so easy to get Mastery Badge with some tanks (Sturer Emil, Chi-To etc.) and it's near impossible to get with some (Heat 62, IS-5 etc.). It's so normal because of the differancy of competition about this tanks. This is the clearest (correct) explanation of the Mastery system with exception that only the best games count, not averages. The easiest masteries are therefore obtained by playing vehicles that, tank for tank, are played predominately more by lesser-skilled players. And/or predominantly fewer by the more skilled. This begs the question, what should be the easiest tanks to master? Examples would be nice, but the underlying reasoning for the choices would be better. My starter for ten is the Medium Mk. III. Its a Tier III, so it's well within easy grinding reach of new players. It's on the tech tree route to the generally well-regarded Matilda. Studying the Blitz Stars stats, one can see that many more players chose to battle more in the Matilda than the Mk. III. And enjoy accordingly greater success. Perhaps the biggest give-away can be seen by looking at the current top players of the Mk. III. There's only 4 EU players who have fought in it over 30 times this past month. And one of them has a WR of 40%. Edited by sixty_three, 09 July 2018 - 11:36 AM. some minor remarks is how the assistant damage system is working, tracking works, destroying other modules (or crew) works not, etc. spotting is too hard and unreliable (most times you just distract and it’s useless in mastery-point-of-view) - many time you’re contributing massively but don’t get anything in return. Edited by Cookiebile, 09 July 2018 - 12:38 PM. For me the American tier 6s (except TDs) were the easiest, plus the very good tier 7 T29. All very strong tanks. My goto tanks for easy masteries are Tier 6-7 German tanks... Very good but usually played by noobs. Panther I is a good choice, same as the Tiger I. Even the crazy OP Jgpz IV is a very easy Ace usually. Edited by petes85, 10 July 2018 - 03:38 PM. Edited by superschnitzelkoenig, 10 July 2018 - 03:53 PM. Edited by petes85, 10 July 2018 - 05:01 PM.